Just a few years ago, I used to just throw frozen foods into the oven. I was brought up by my Dad who worked full-time and was never really the one into cooking from scratch, plus he never had the time. When my partner and I moved into our own home back in October 2011, most of our foods were frozen foods thrown into the oven too. We did have a fryer for chips too, which were delicious. I remembered looking up at how to make my own bolognese and decided to try it for the first time, and it was delicious. I didn't really stick to cooking from scratch until I decided to join Slimming World for the first time in 2013. I've been back and forth to Slimming World, and I'm on the journey again because I know it works, it's just got to be in my head. Slimming World was the main reason I started cooking meals from scratch. I stopped buying frozen foods and just bought some treats for the girls now and then. Since 2013 our meals have always been made by us. I'm lucky that my partner enjoys cooking (a bit more than me!). 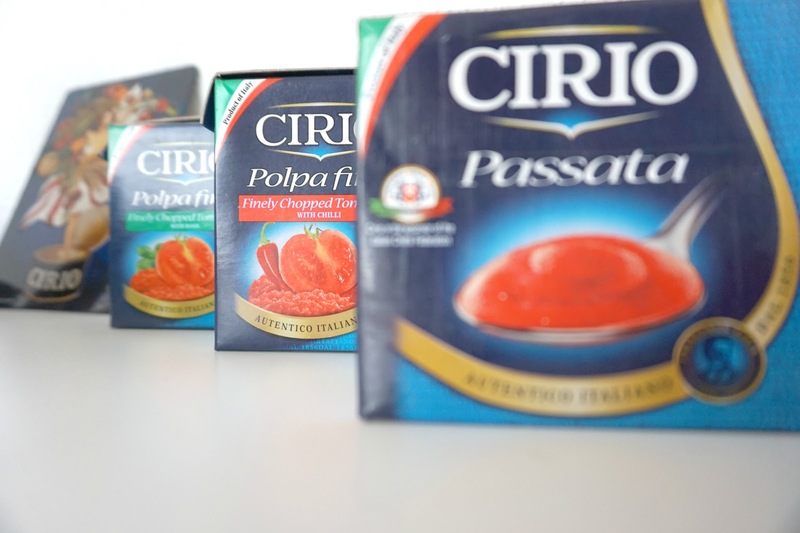 We were sent some different products from Cirio. 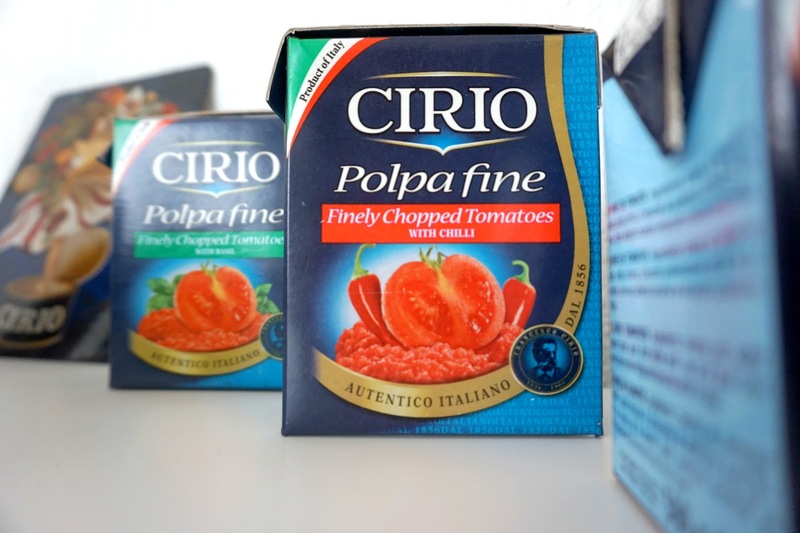 I have bought many Cirio chopped tomatoes, but I hadn't realised they had such a big range of different tomato based products. We do a weekly food shop, and I always make sure we have passata or chopped tomatoes in the house. I use them every single week, and I find you can make easy and tasty meals with them for the whole family. The first box we used was the 'Finely Chopped Tomatoes with a pinch of salt, garlic and onion'. 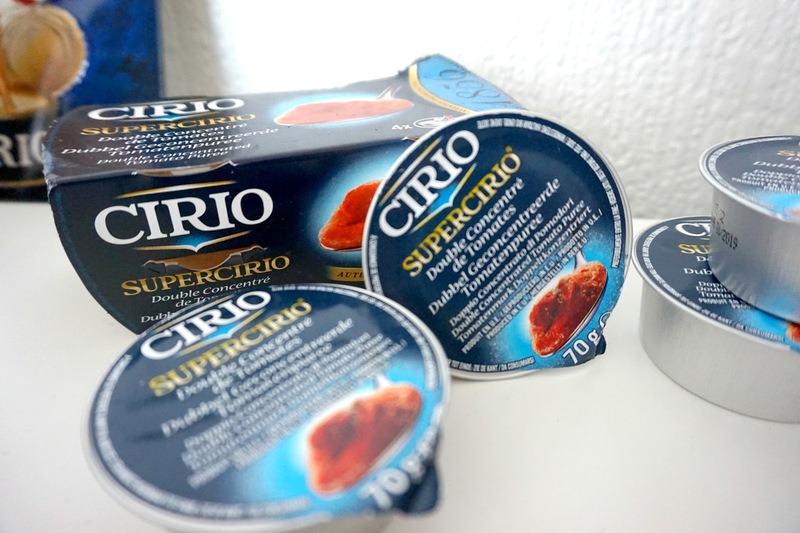 We decided to make a bolognese with it, and I could definitely taste the difference using Cirio products compared to supermarket versions. It may sound a little strange, but I love the packaging. All their finely chopped tomatoes are packed in a cardboard box which makes it eco-friendly and reduces waste. I also find they open much easier than tins and glass bottles - which is perfect for busy parents. They're also easier to store away in cupboards. On the weekend I sometimes get a lie in if my partner isn't out on his bike or working. When I wake up, it's usually passed breakfast time and near enough lunch time. I always fancy a big brunch which ends up being a good ol' fry up - but Slimming World style. Cirio Plum Tomatoes are absolutely amazing, they taste so delicious and perfect for adding to bacon, beans and eggs. Delicious! Cook your spaghetti pasta as normal. Cook your mince, add some onions and mushrooms. For your sauce add the delicious Finely Chopped Tomatoes, to add extra taste why not add the 'pinch of salt, garlic and onion' or maybe the basil flavour chopped tomatoes. The kids will absolutely love to make their own pizza - who doesn't? Get a pizza base and all your toppings. 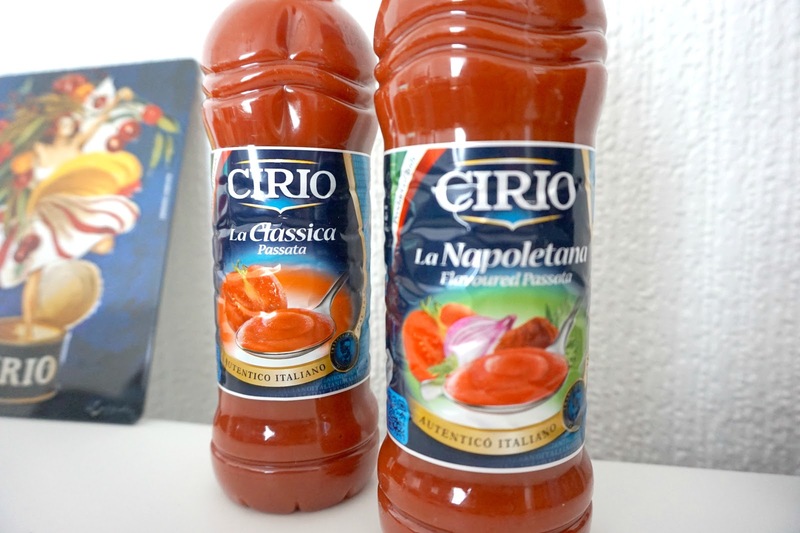 Use Cirio's Pizzamassimo as the sauce topping. By using Cirio's Classica Passata and adding some basil seasoning will make the perfect smooth sauce for your meal. What's better than a good old fry up on the weekend after a hard work's week? Cirio's Plum Tomatoes are a great addition to your bacon, fried eggs (or scrambled if you prefer! ), toast, sausages, hash browns and whatever you like to add. Soups are so easy to make. 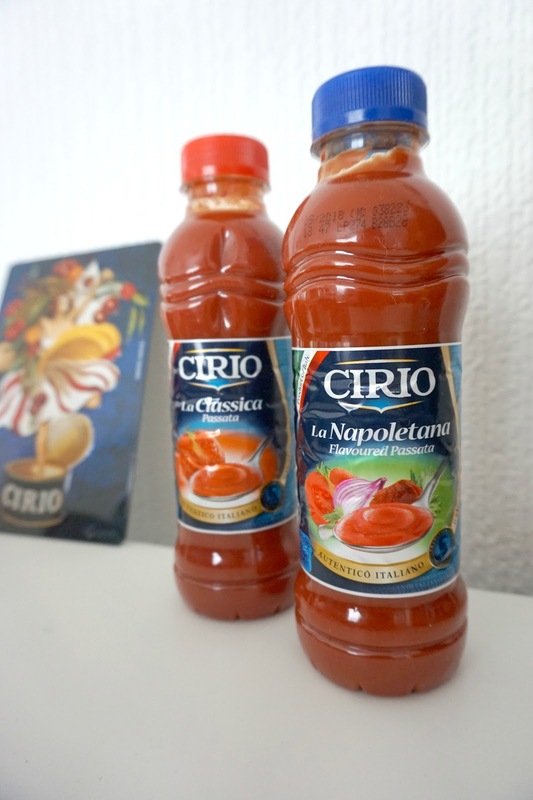 By using Cirio's finely chopped tomatoes and Cirio's Supercirio tomato puree. 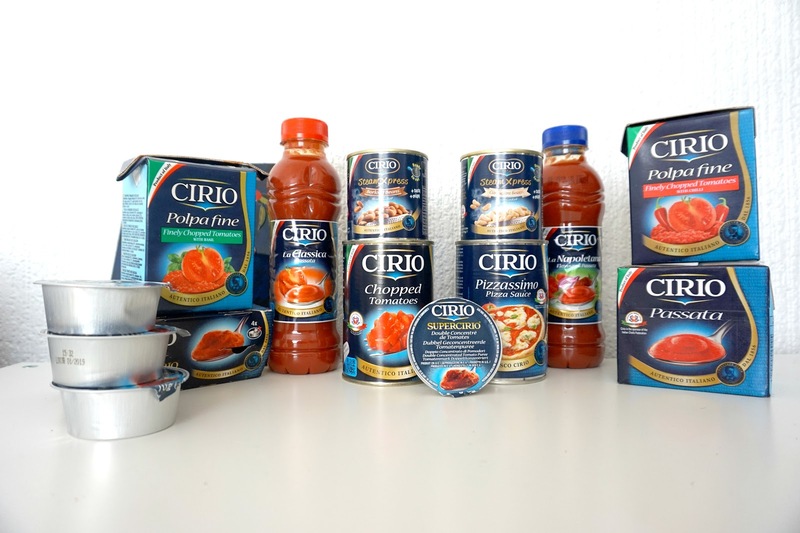 Cirio have a big range of products including tomatoes and even vegetables such as Cannelloni Beans, Lentils, Chick peas and more. You can find their delicious products at most stores at reasonable prices. What's your favourite family meal? * We were sent a range of products in return of an honest post. As always, all words, opinions and images are my own.